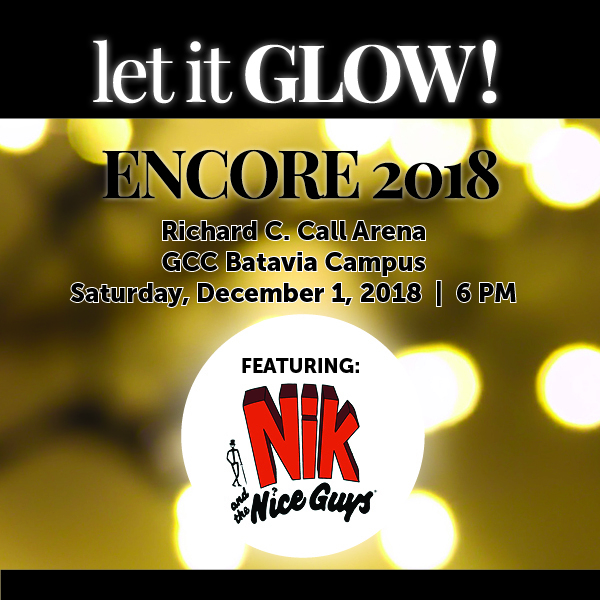 Home / Batavia / CM / community / encore gala / food events / GCC / let it glow / Music / News / Last chance to "Let It GLOW" at GCC's Encore Gala 2018! Last chance to "Let It GLOW" at GCC's Encore Gala 2018! 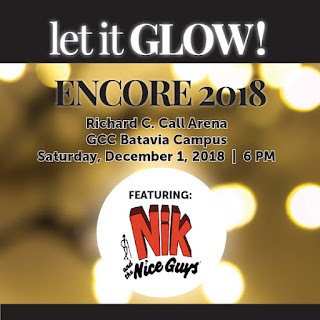 BATAVIA, N.Y. -- "We are nearing the last chance to get tickets for our 2018 Encore, 'Let it GLOW' - which directly supports student scholarships and our community," Kim and Tom Cox, co-chairs of this year's Encore said. "We are so excited about this event. Great fun for a great cause is the best way to kickoff the holiday season!" Since its inception more than 25 years ago, the Encore Gala has become a holiday tradition that significantly impacts the scholarship programs at Genesee Community College. In 2017, the Foundation awarded over $224,000 in scholarships. As the world and economic factors continue to change, the need for scholarships has grown. Purchasing tickets to 'Let it GLOW' puts funds directly into the scholarship account that impacts the lives of GCC students and their ability to complete their academic goals. As just one example, when Madalyn, a GCC student from Leicester, NY, lost her mother, she knew she had to find a way to finish her education - honoring her mother's wishes by staying on track toward a career in healthcare. Madalyn had an opportunity to express her gratitude stating: "I would like to thank you for lightening my financial burden due to my mother's recent death. Graduating meant everything to my mother, and she would be very proud of me for continuing with school and not giving up on my dream of becoming a respiratory therapist."